Nutritional deficiency is not a common side effect of gastric sleeve surgery because the procedure is purely restrictive with no malabsorptive component. Nevertheless, due to a reduction in appetite that usually accompanies gastric sleeve surgery; some patients may show signs of nutritional deficiencies from inadequate dietary intake. The decrease in the size of the stomach leads to a reduction in food intake which is essential for weight loss. However, the small intake implies small nutrients and a risk of nutritional deficiency therefore exist. Vitamins and other food supplements are included as part of the post-op dietary plan for this group of patients. Some of these supplements include iron, calcium, vitamin B12, vitamin D and protein supplements. It is, however, important to allow your nutritionist prescribe the appropriate dosage of necessary vitamins and other supplements for you. There are also bariatric-specific food supplements that are more effective than other supplements. This is an essential element required for the formation of hemoglobin (an oxygen-carrying pigment on the red blood cell). It is also necessary for the optimal functioning of certain enzymes in the body. Iron is majorly absorbed in the initial part of the small intestine (duodenum). As earlier mentioned, the small intestine is not involved in gastric sleeve surgery, but the low appetite means a small quantity of food and indirectly small iron intake. Iron deficiency will lead to anemia. This will make you weak and also delay wound healing. Iron supplements are in the form of tablets. They come in combination with different components e.g. ferrous fumarate, ferrous sulfate, ferrous gluconate. The ferrous fumarate is the preferred formulation after gastric sleeve surgery as the absorption of ferrous sulfate is defective. Ferrous gluconate can also be taken. You should leave a space of at least 2hours after ingestion of iron before taking any calcium supplement or calcium containing antacids as calcium can impair the absorption of iron. Calcium is required for healthy bones and teeth, blood clotting, and contraction of muscles including the heart muscles. It also plays some roles in nerve function and hormonal secretion. Absorption takes place throughout the entire length of the small intestine. This is facilitated by an active form of vitamin D called calcitriol. Calcium carbonate which is the most common over-the counter calcium supplement is not quickly absorbed after gastric sleeve surgery due to a reduction in the stomach acid secretion. Calcium supplement in the form of calcium citrate can be taken either as a liquid or chewable tablets. It should however not be taken simultaneously with iron. An average of 1500mg of elemental calcium should be taken per day in three divided doses. The primary function of vitamin D is to increase the intestinal absorption of calcium and for bone growth and development. It is present in few food items, and it can be synthesized in the skin following exposure to ultraviolet light. Deficiency will lead to osteomalacia in adults; a condition characterized by softening of bones. Liquid and chewable forms of vitamin D supplements are preferred. About 3000 IU can be taken daily. Vitamin B12 is needed for red blood cell production, DNA synthesis, and neurological function. It serves as a cofactor for enzymatic reactions in the body. Although it is absorbed in the distal part of the small intestine (distal Ileum), the absorption requires that vitamin B12 combines with intrinsic factor; a substance that is produced by the parietal cells in the stomach. The resection of the stomach in gastric sleeve surgery leads to a reduction in the production of intrinsic factor with subsequent reduction in vitamin B12 absorption. Deficiency of vitamin B12 will result in megaloblastic anemia (a form of anemia where the number of red blood cells and hemoglobin concentration are reduced but the cells are bigger than normal) and neurological dysfunction. Supplements are available in tablets, liquid, and injectable forms. An average of 500mcg of the tablet/syrup per day can be taken. The injectable form can be taken as a single monthly dose of 1000mcg. There is also a vitamin B12 nasal spray. Folic acid is also known as vitamin B9 is another important vitamin that may be given as part of the supplements following gastric sleeve surgery. It is required for red blood cells formation and also plays a significant role in cell division (i.e. DNA synthesis), and a deficiency can result in megaloblastic anemia. For those who are planning to get pregnant after gastric sleeve surgery, a folic acid supplement will help prevent congenital disabilities in the baby. At least 400mcg should be taken per day. After gastric sleeve surgery, your food intake reduces significantly. This is expected to lead to mobilization of the stored fat for energy. However, some proteins from body tissues can also be mobilized for energy formation. Adequate protein intake and protein supplements are therefore essential parts of the post-op dietary plan after gastric sleeve surgery. An average of 60g of protein is recommended per day, and there are bariatric-specific protein supplements that are more effective than other protein supplements. Your nutritionist will give you the prescription that is best for you. This may be the first line of supplements your nutritionist would recommend immediately after gastric sleeve surgery. These are mostly in liquid/chewable forms. 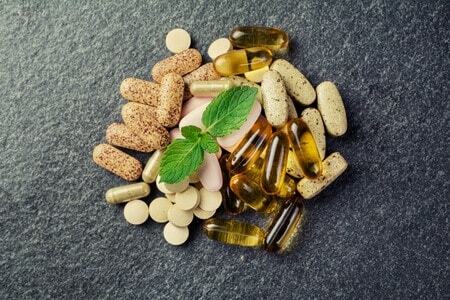 Bariatric multi vitamins are a blend of vitamins A, D, and E.
In conclusion, nutritional deficiencies may occur following gastric sleeve surgery. This is not due to malabsorption but inadequate intake due to reduced appetite and stomach size. Deficiency may result in poor wound healing, fatigue, weak bones, neurological dysfunction, etc. many supplements are available to prevent a deficiency state. However, your nutritionist will prescribe the supplement that is best for you. PreviousPrevious post:Gastric Sleeve Surgery Post-Op Pain: Chest Pain, Abdominal PainNextNext post:How Safe Is Gastric Sleeve Surgery?